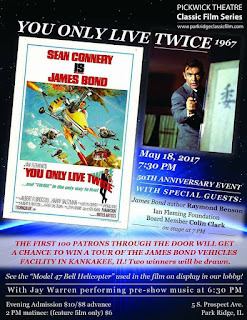 What: 50th Anniversary screening (digital restoration) of the 1967 Bond film "You Only Live Twice"
"I'll be introducing this 50th Anniversary screening (digital restoration) of the 1967 Bond film "YOU ONLY LIVE TWICE" at the Pickwick Theatre in Park Ridge, IL on MAY 18, 7:30pm (Intro and contests at 7pm). Tickets available at here". 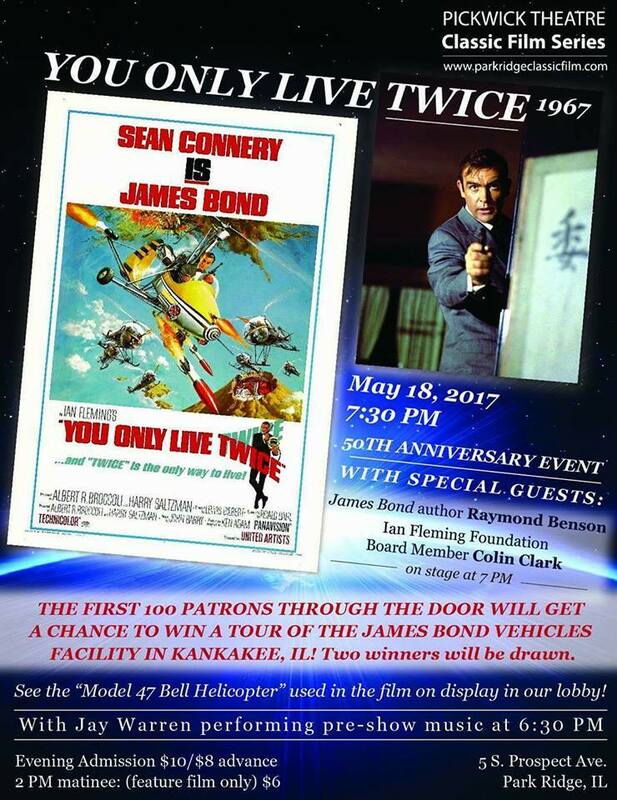 Ian Fleming Foundation board member Colin Clark will also be on hand to exhibit the Model 47 Bell Helicopter used in the film. 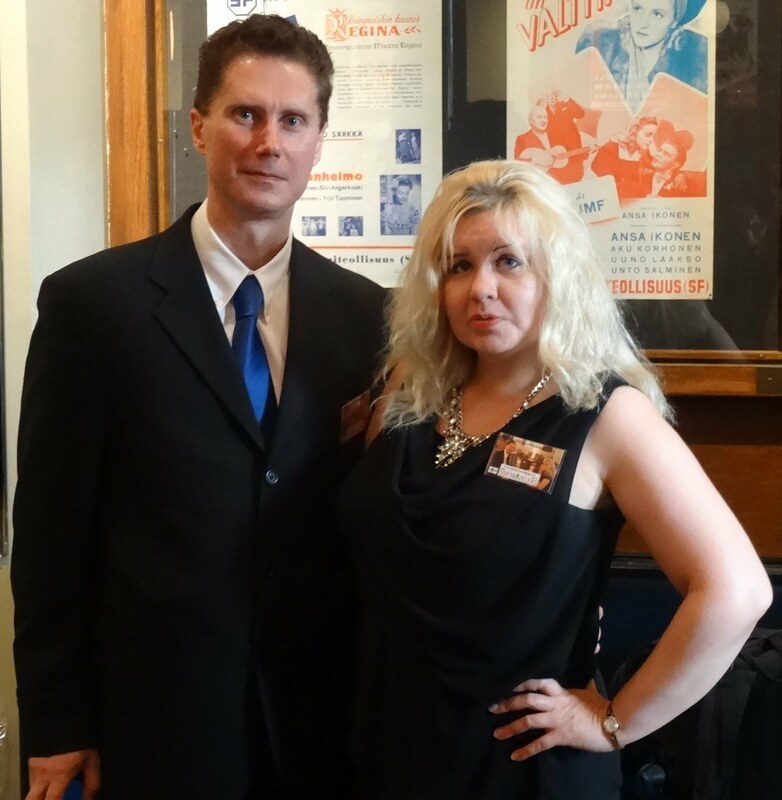 Pre-show music on the theatre organ by Jay Warren begins at 6:30. 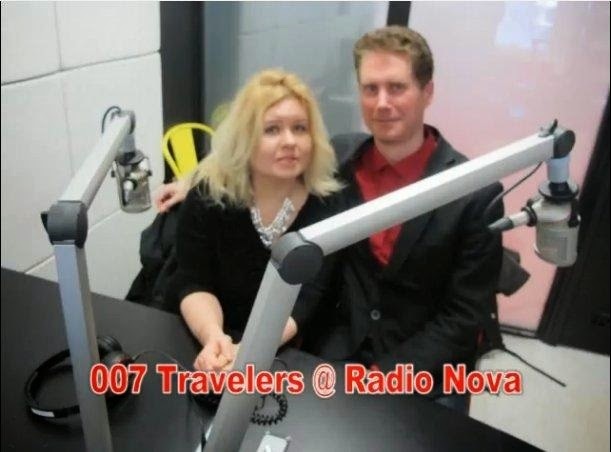 First 100 patrons get a chance to win a tour of the James Bond vehicles facility overseen by the Ian Fleming Foundation.